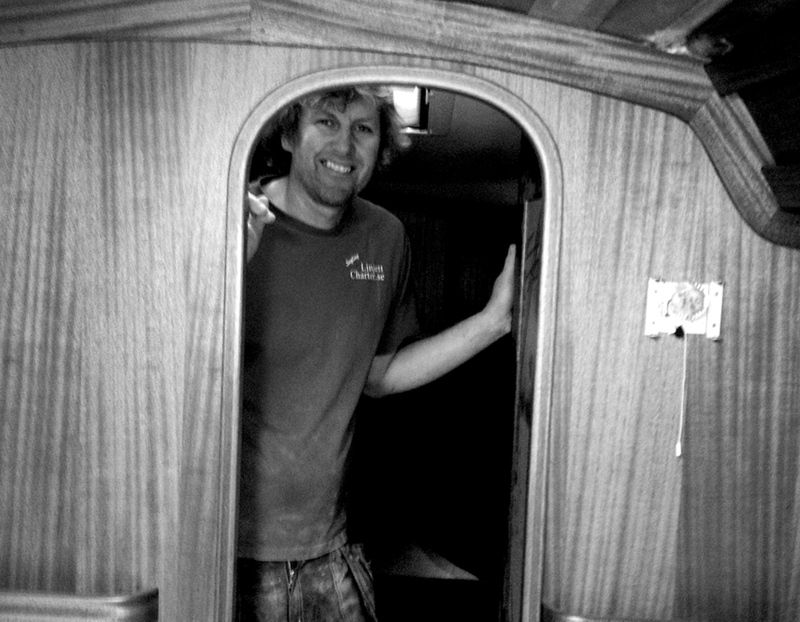 Johan, sailor and boatbuilder, grew up at Rosättra Boatyard north of Norrtälje. The parent’s Sonia and Ola still live there. 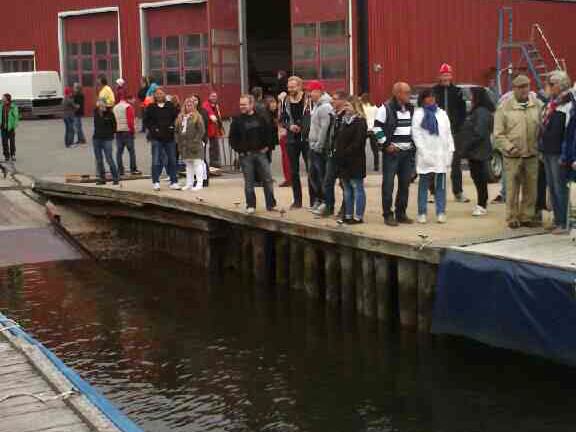 His grandfather Fritiof ran the shipyard which he built in 1948. 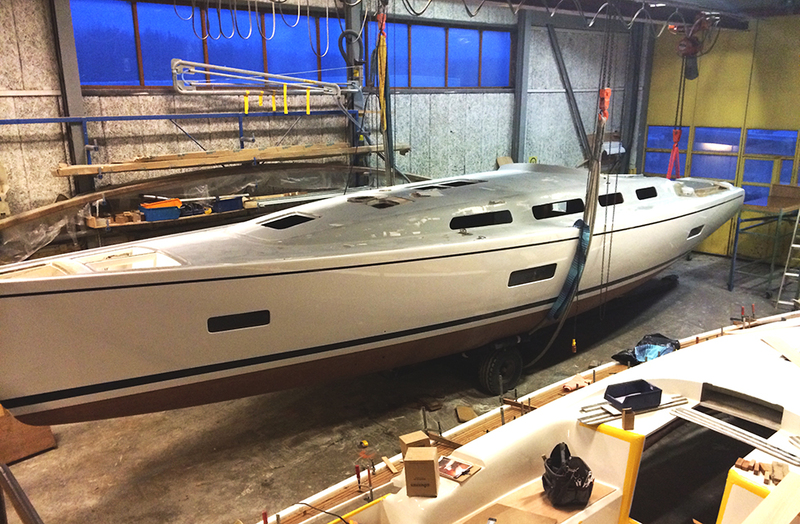 Rosättra Båtvarv has been in operation since 1886 and is actually Sweden’s oldest shipyard still building sailing yacht. During the 1970s, the three sons Ola, Janne and Mats took over and today it is the third generation Gustafsson running the business. 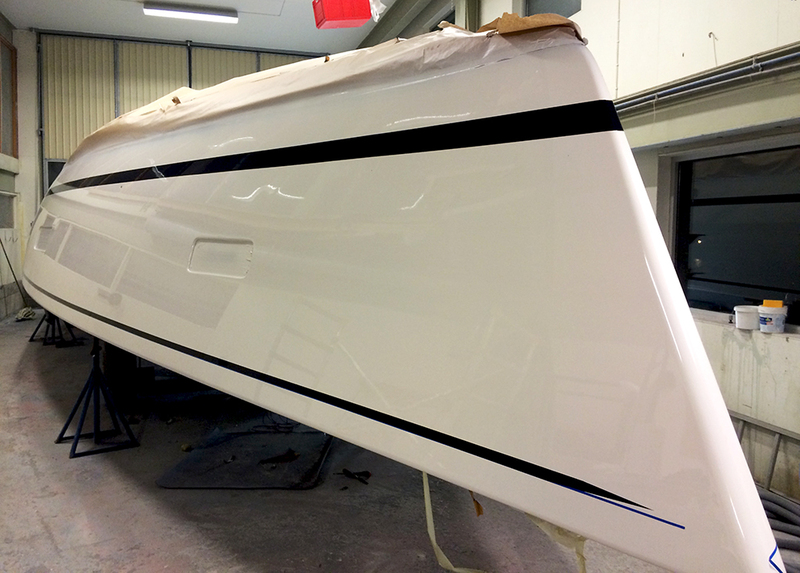 The pride of the boatyard is the beautiful Linjetts that are available in eight variants. 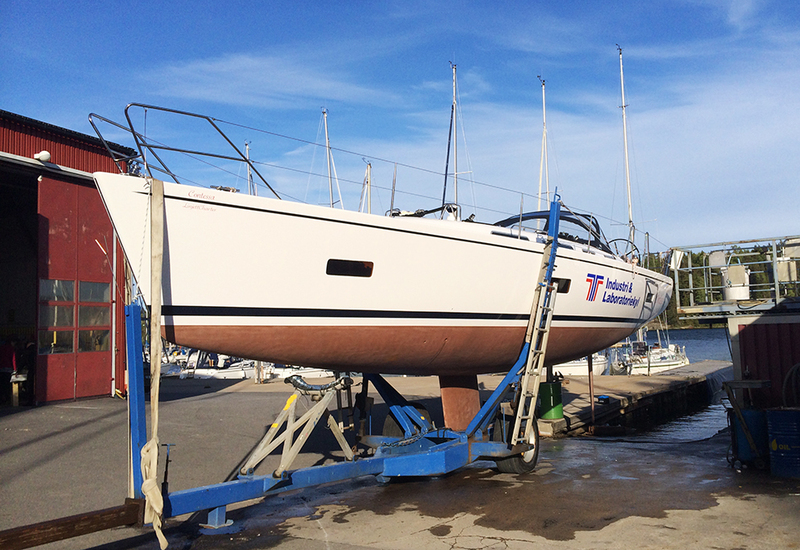 Rosättra is a full service boatyard and winter shelters approximately 400 boats. During the summer there are about 100 boats at the marina. 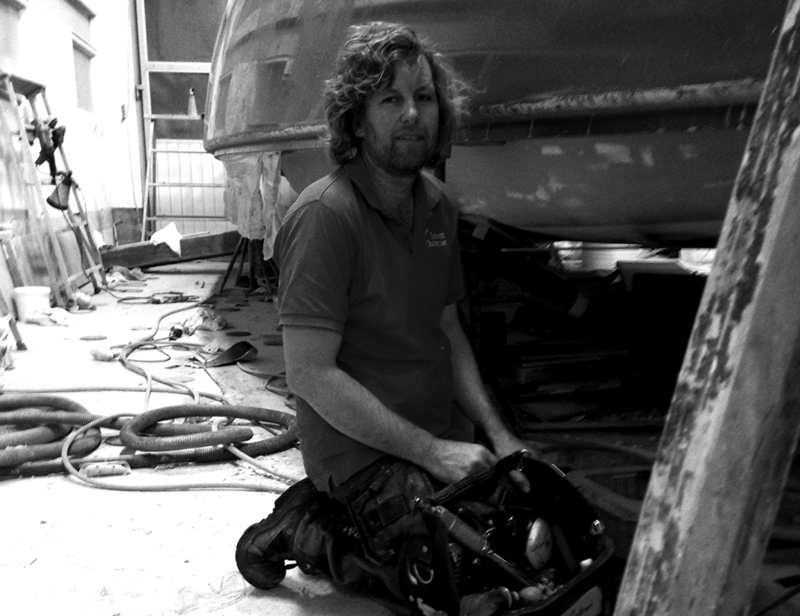 Johan works half-time on the shipyard and has long experience of both newproduction and service. He also runs LinjettCharter and has a tirecompany at Nysättra. 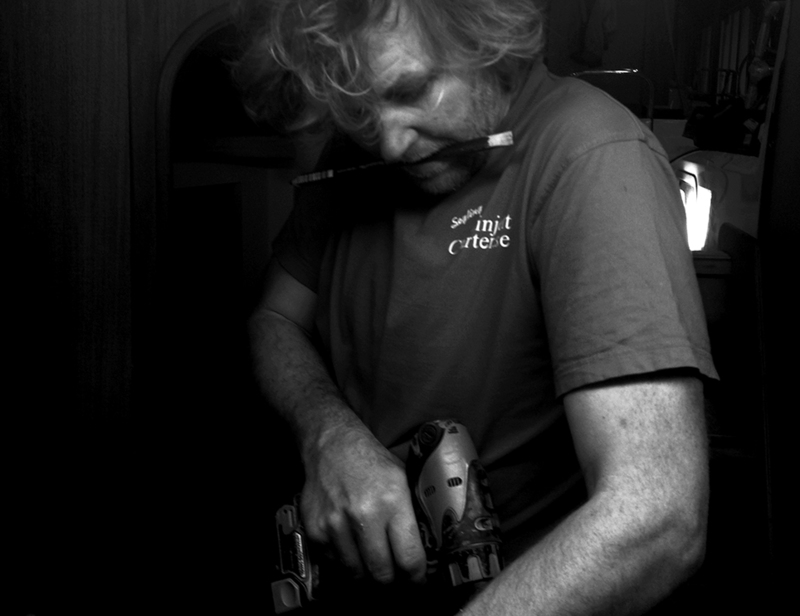 “I was not planning to be a boat builder, it was just natural for me. Machines, tools, materials and know-how were there. But that’s not enough, one has to have his own interest and own will as well. 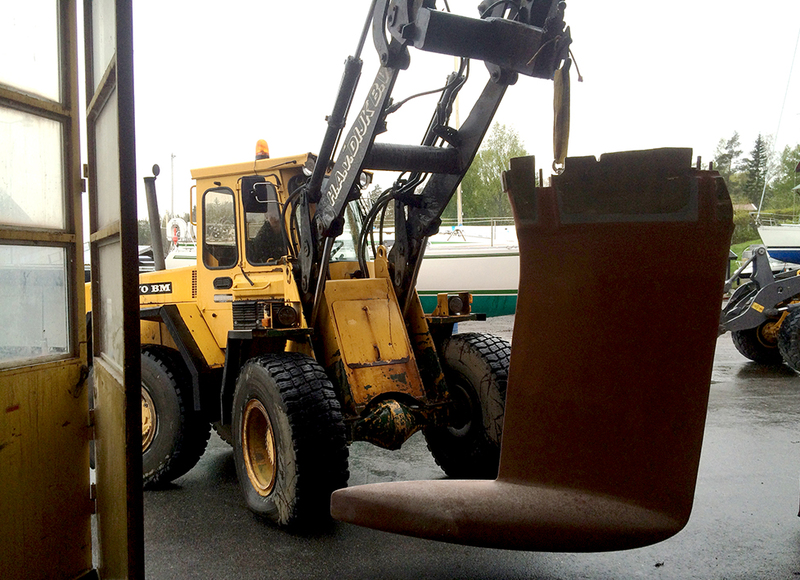 “Rosättra was almost like my kindergarten, I was there as a little boy. When I got home from school I went down to the shipyard along with my three cousins. We were neighbors with my uncles, Janne and Mats and their families. “There was a lot of knowledge to learn from dad, the uncles and the other boat builders, but you learned a lot by your own experience. When I was in my teens I built my first pulpitboat. I kept it for a while, had a lot of fun with water skis with and friends. 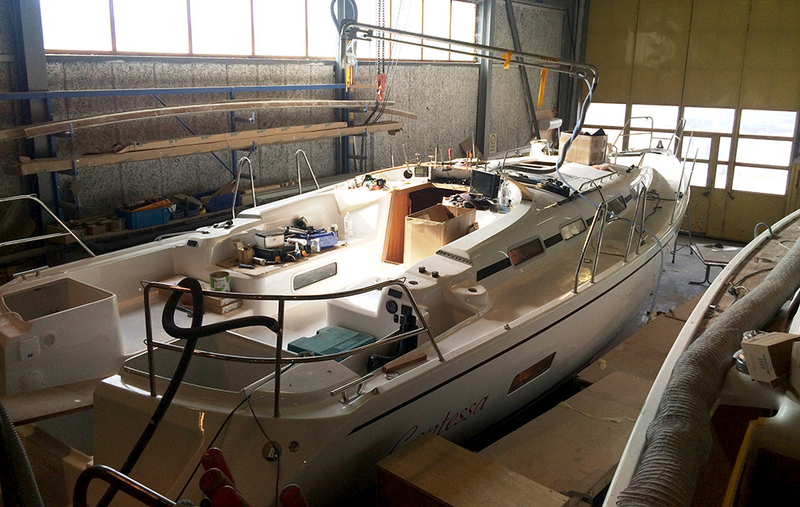 Soon I realized that I could make money from building that kind of boat, some kind of business mind was discovered! 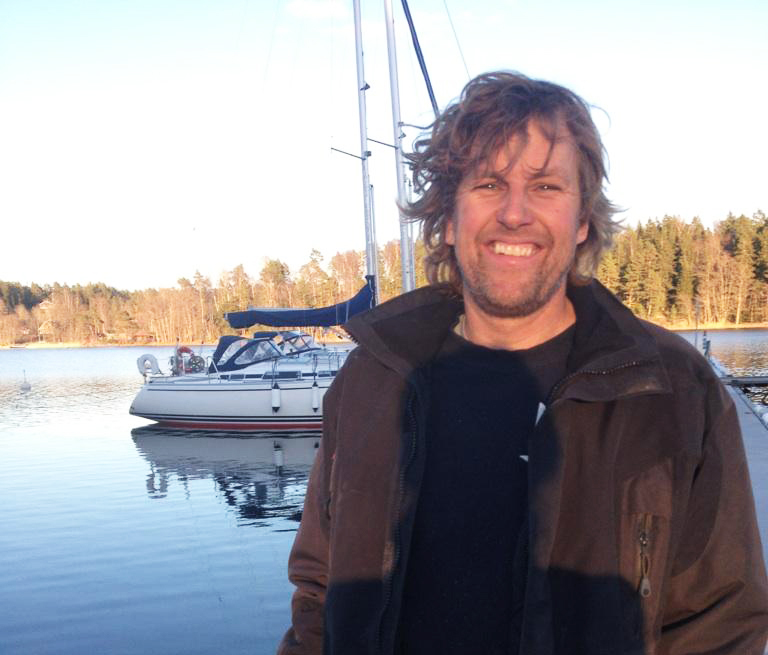 My cousin Anders and I enjoyed racing motorboats, one year we actually won the Roslagsloppet. “Were you enjoying that as much as racing speedboats?” “I’ve got the sailing in the blood, but it did not give me a” kicker” when I was younger, but that was how I holidayed with my family. We spent whole summers on the sea. Sometimes the family were alone and sometimes we met up with family friends on islands or yachtclubs, often there were also children and tenagers of our age. My sister and I taught ourselves to sail. At that time there was not much that distracted us. The were no social media to take up our time and I was not interested in reading books. When I was young I often borrowed the boat to get away with friends. Soon the idea of building my own Linjet was awakened. My first boat was called Johanna and is a Linjett 35. 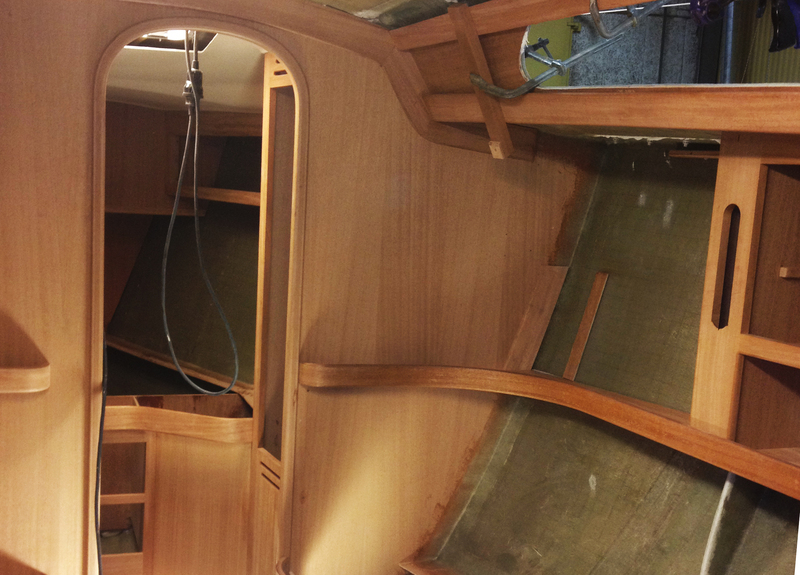 Here it was about “rebuilding” the boat again. Most of the work does Johan himself. 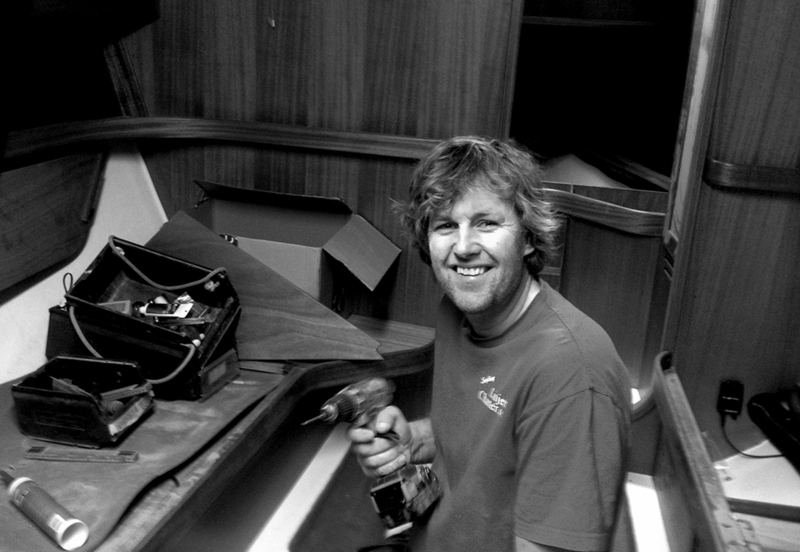 Between 2007 and 2012, Johan built five boats, which says something about his drivingforce. 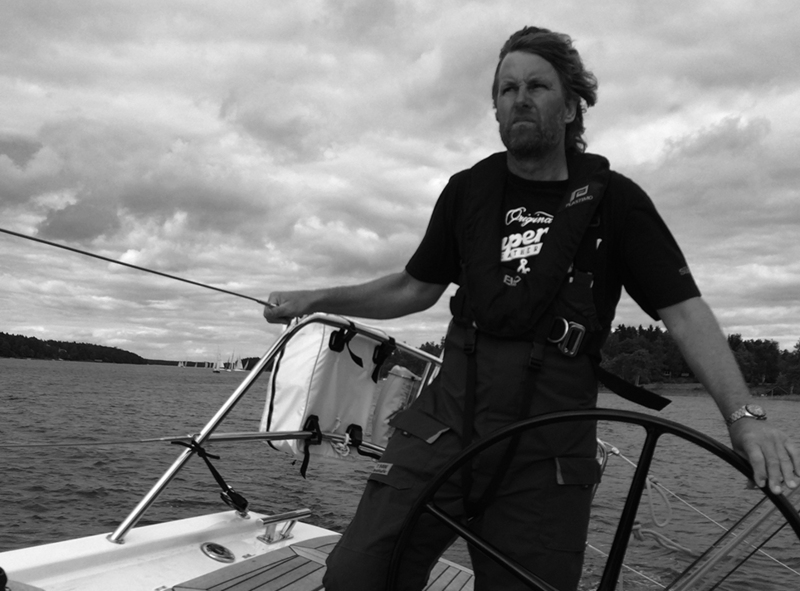 In 2008 Johan founded LinjettCharter and took the Class 8 diploma. 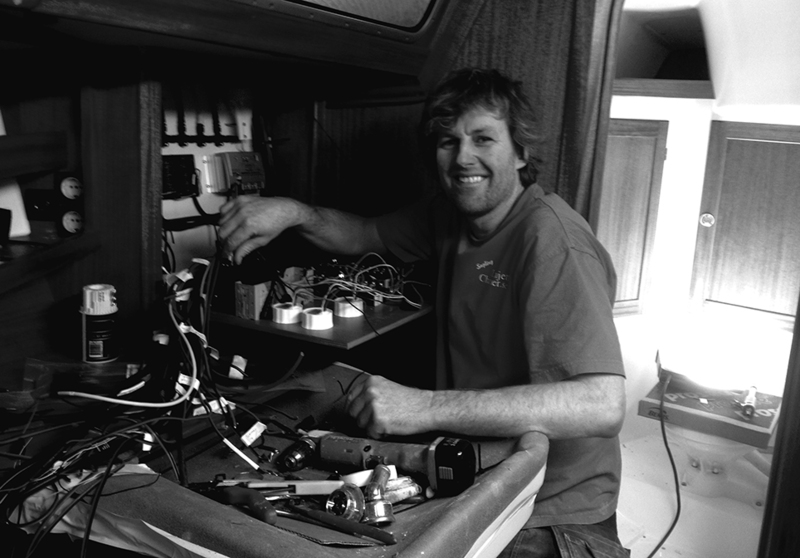 Along with his entrepreneurial mind, boat building expertise combined with his sailing skills, he saw an ideal opportunity to start a event and rental company. Read more about LinjettCharter under the About us tab.